Ok, here are just a few internet goodies I discovered this weekend. First off, the Harry Potter Musical. Seriously, block off 2 hours of your time and watch this full length musical that crams most of the Harry Potter series into one story. Parts are hilarious (lines, prat falls, and the fact that Ron is ALWAYS eating). There is some language, so I wouldn't recommend it for younger audiences, but it's well done. (I have the "Voldemort is Going Down" song in my head. The vocal/band balance is a bit off in the first few videos, but stick with it. 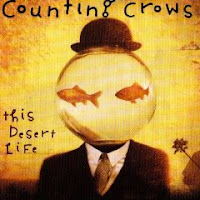 Also, I just noticed that the original cover for Neil Gaiman's The Day I Swapped My Dad for Two Goldfish is the same as the album art of Counting Crow's This Desert Life. Is this a revelation or did everyone else know this 10 years ago? AND! For all you twitter-ers out there, did you know the entire cast (characters, not actors) of Mad Men is on twitter? Start following Peggy Olson, Ken Cosgrove, and of course Don Draper and everyone else. I think Sally Draper's feed is my favorite. 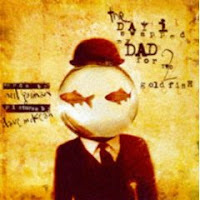 I followed you here via the comment you made on Read Roger only to discover one of my favorite album covers in redux. Which made me smile. You were not the last to know about this particular parallelism. I was. I'm going to watch it too! It looks fantastic... well, actually I don't know yet, but knowing that it's something Harry Potter makes it amazing.